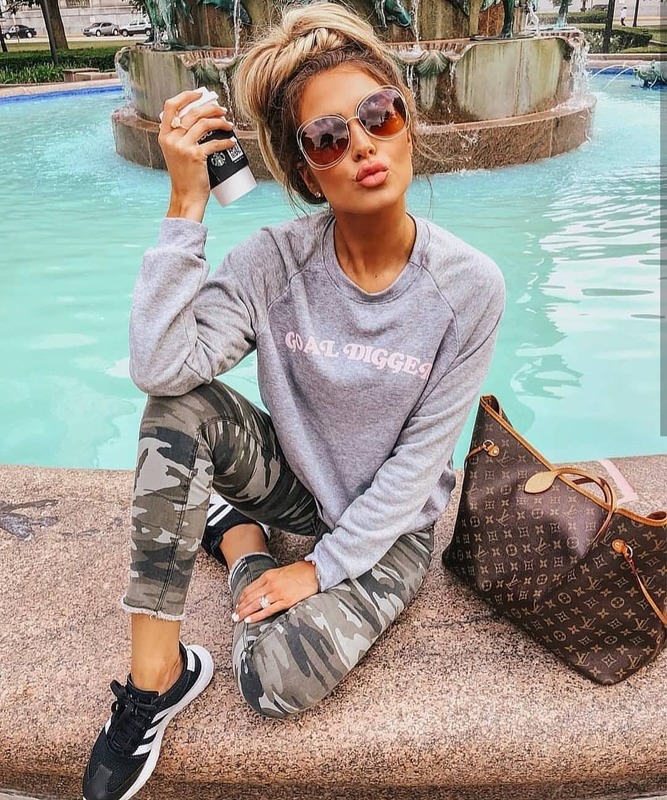 In search of casual basics for the Summer season? 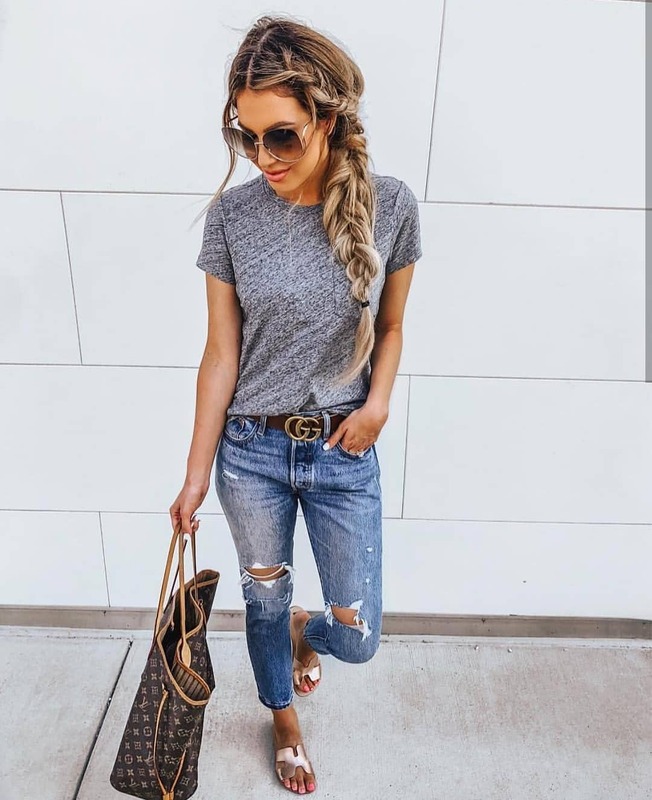 Go for a simple grey T-shirt and team it with ripped jeans and matte bronze sandals. Complete this basic combo with oversized sunglasses, leather tote bag, and chic leather belt. Some ladies keep things ultra simple. Go for ripped wash blue jeans and team them with a grey T-shirt and flat sandals. Complete it with oversized sunglasses and a Louis Vuitton tote bag. We see a lovely grunge-inspired outfit idea that consists of a black-white striped T-dress worn with a blue denim jacket tied around the waist. Complete this look by adding a spacious leather tote bag and your favorite sunglasses.